2017 ends with about 1.9M sq. ft. of positive absorption. Over 3.6M sq. ft. of new warehouse space was delivered bringing our total inventory to 240M sq. ft. This being said, the overall vacancy rate slightly decreased to 4.0% and the average lease rate is at an all-time high at $9.76 per sq. ft. gross. Investors continue to purchase warehouse buildings at record-setting prices per sq. ft. The fundamentals of owning tangible real estate as an investment can be more appealing than the stock market, which can be more volatile and riskier. Large developers have over 5M sq. ft. now under construction of larger, bulk, class A warehouse spaces. However, there is a healthy demand for small-bay spaces, as well as class C warehouse space. It is nearly impossible to find any “economically-priced” warehouse space under $6.00 per sq. ft. The question that some of us are now asking in the industry is, “Will 2018 be the year that we break the $10.00 per sq. ft. barrier for the average lease rate?” We are close enough that this may happen, although it will be grudgingly so. With so much new space being delivered on-the-market, landlords will likely not be able to drastically increase their lease rates due to fierce competition and knowledgeable tenant-rep brokers. A real problem that few professionals discuss is the lack of customer service delivered by landlords / owners. Unsatisfactory property maintenance and management, as well as very challenging lease terms imposed by landlords, are becoming the norm in today’s “owner’s market”. Welcome to Miami. Tenants are customers too and win-win lease transactions between both parties will be more respected when the market starts turning the other way, and it will one day. At the U.S. national level, the average vacancy rate has also decreased slightly to 4.9% and the average lease rate increased to $6.46 per sq. ft. Our colleagues from around the country report that each of their respective markets were very dynamic in 2017. We look forward to entering the second year, of a new era, of lower taxation and less federal regulations. Now we just need to make Miami-Dade County great again. The ComReal Industrial Team commences this year with the largest, available warehouse measuring 234,739 sq. ft. now listed for sale on-the-market (see below). In addition, we have a total of seven (7) buildings listed for sale in Miami over 25,000 sq. 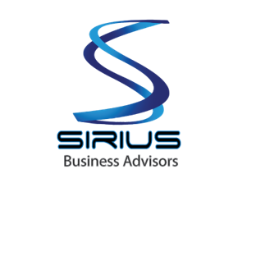 ft., which is more than any other brokerage firm in Miami. 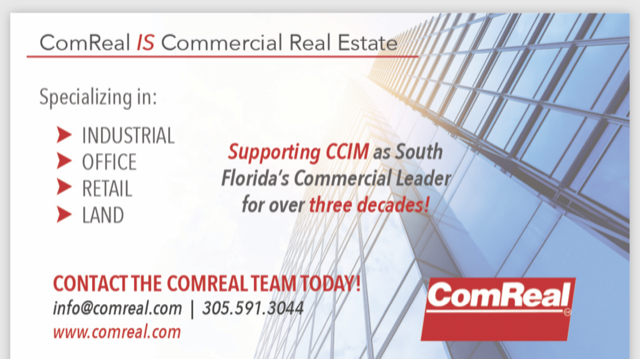 Please feel free to contact us anytime to discuss your commercial real estate needs in 2018 and beyond. 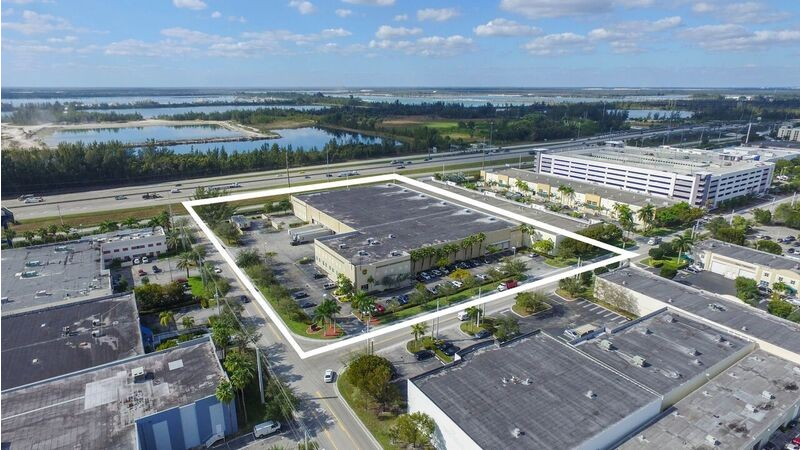 Featured Property: The 234,739 sq. ft. Miami Freezer/Cooler Building for Sale! Our customers are “cool!” TransInternational Cargo expands it’s flower distribution operation to 26k SF cooler warehouse space closer to Miami Int’l. Airport. Two more happy customers! 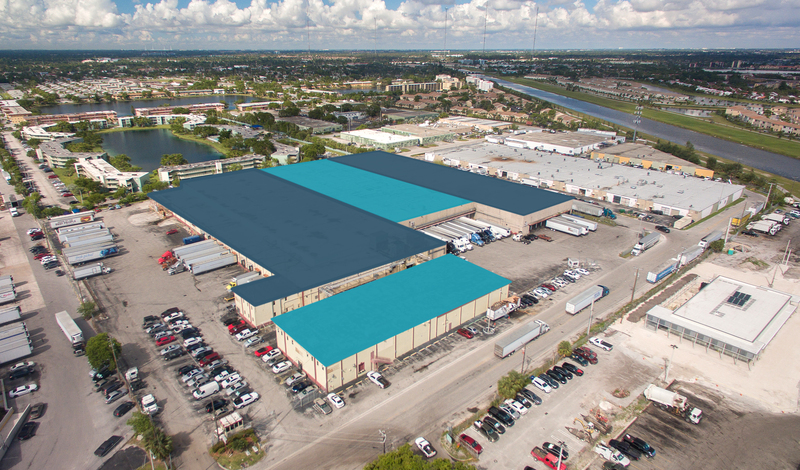 Pan Ocean Freight swiftly back-filled an 80k SF warehouse space at Miami International Logistics Center in Hialeah owned by Lincoln Property Group immediately after the prior tenant terminated it’s lease. News Release: 87,531 sq. ft. Warehouse at Turnpike Logistics Center 100% Leased!